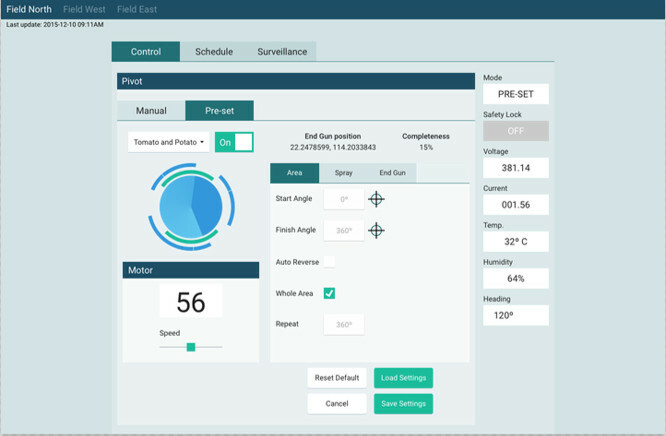 Full range of automatic remote control solutions for pivot and lateral, move the control panel to smartphone by upgrade Main Control box or add a Remote Control box. With the user-friendly App at your smartphone, tablet or PC, you can now control your irrigation at anywhere and in any time easily. Get your pivot online by upgrade existing control system to Deep Green Remote Control, it is compatible with popular brands of pivot. Get start to save time, water, energy and more cost effective.